In music-instrument language a bridge usually refers to the part of the violin that supports the strings and transfers its vibrations to the instrument’s body. It conducts the sound as well as the music produced by the player. 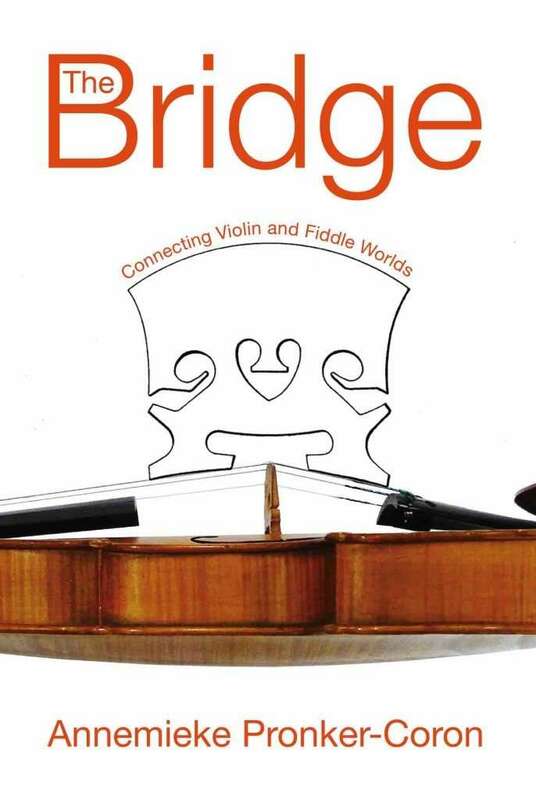 In a wider sense, however, a bridge is a passage that connects two worlds—in this case the world of the violin and the world of the fiddle. Typically fiddlers refer to classical violinists as musicians using a completely different technique than their own, e.g. the use of long-drawn bows and vibrato are main pillars of the classical approach. At the very beginning of my journey I was shown some of the main characteristics of old-time fiddling i.e., shorter bow strokes, relaxed bow arm, circular bow movement, and occasional swing strokes. I was excited to discover that these fiddle techniques in the United States were directly linked to baroque violin technique with which I was so familiar from my studies in the Netherlands. I have come to believe that we can learn to play both fiddle and violin in their distinctly different styles. We can teach a comprehensive approach right from the start. We don’t even need different instruments. Instead, we need an appreciation for and an understanding of the depth of the styles we want to play. 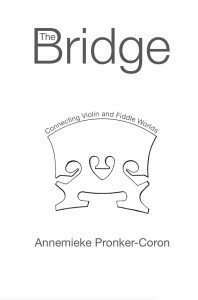 This book is for violin educators, violin and fiddle students who would like to teach and perform, and fiddlers who are curious to learn more about the connection of the fiddle heritage with the European baroque and classical world. Annemieke Pronker-Coron studied at the Amsterdam Sweelinck Conservatory in her native country, the Netherlands, where her teachers included Jan Henrichs and baroque specialist Jaap Schröder. She also studied music therapy in London. After starting her career in the Netherlands by playing in different orchestral settings and teaching violin, Annemieke went to the United States to do research in bluegrass fiddling. Subsequently she emigrated to Gainesville, Florida. A former member of the Gainesville Chamber Orchestra, Annemieke continues to teach violin and fiddle. She is an active promoter of music in the community, having helped inaugurate the Sawgrass Fiddle Contest, the Annasemble, and the Young Annasemble orchestras under her musical direction. She has taught string programs in local schools, including at the Einstein School for children with learning disabilities. Annemieke is a member of the Alachua Consort, a baroque-focused trio with oboe and organ, and plays electric violin in the Greek band EMBROS. Her research into different musical styles led her to a course in New York City with Mark O’Connor and Pamela Wiley. She now teaches O’Connor’s New American Violin Method. She lives in Gainesville with her husband Jonathan and son David. If you work for a library or bookstore, use this special order form (or send us an email through our Contact page) for a 50% discount off of the retail price. Alternatively, discount pricing is also available for students and faculty with .edu email addresses. Go to our Contact page, send us a note with your .edu address, how many copies you would like to purchase, and we’ll take 20% off of the retail price of the book(s). As an individual you can also order the book directly through Amazon. Dimensions (inches): Varies by version but paper size for both paperback and hardback is 6 inches wide x 9 inches tall.